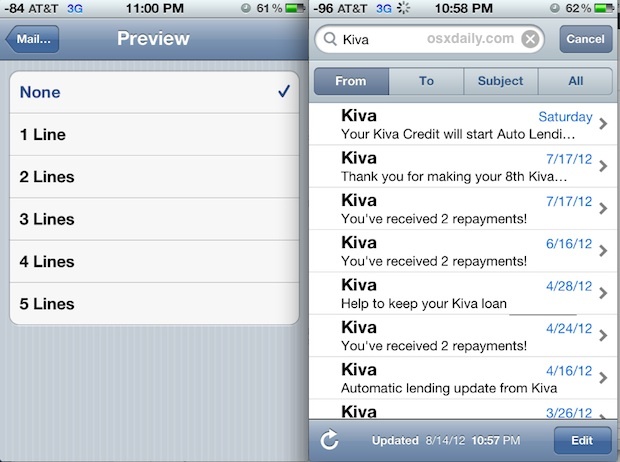 Want to see more emails on the iPhone or iPad screen at the same time, without having to scroll around? You can accomplish this in a few ways. It turns out side effect of changing the Mail preview size can lead to many more emails being shown on screen without having to scroll. This is particularly helpful on the smaller screens of the iPhone and iPod touch and if you need to sort a lot of messages quickly, but it can be helpful for iPad users too. No Preview means you will only see the message subject and sender without a preview of the mail message body. That isn’t necessarily a bad thing, as it can make it much easier to delete bulk messages and mark multiple emails as read when you have an inbox inundated with hoards of emails all day like many of us. The larger the preview, the fewer emails will be visible on screen without having to scroll in Mail app. This is entirely a matter of personal preference, and not everyone is going to want to adjust these settings, but if you’re tired of scrolling around to see different emails, this can be an option. 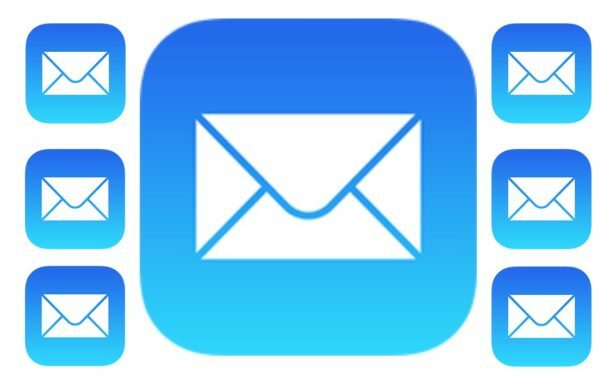 Of course another option is to decrease the text size in general on the iPhone or iPad, because as you may have noticed that increasing iOS text size reduces the number of visible emails on the Mail app screen, whether that’s on iPad, iPhone, or iPod touch. Great tip. I’ve never found the previews to be too useful anyway, it’s always just formalities hey how good day yada yada. Looks like at least one of the writers at CultofMac reads your site. They re-wrote this tip/article and posted it today. Now I get that this tip has been documented, and anyone could write about it. But the timing, the similar screenshot, and the history of CoM re-writing other people’s material dictates otherwise. This is interesting to read, I like the advice and tips on here they are very helpful, thank you for sharing this post.